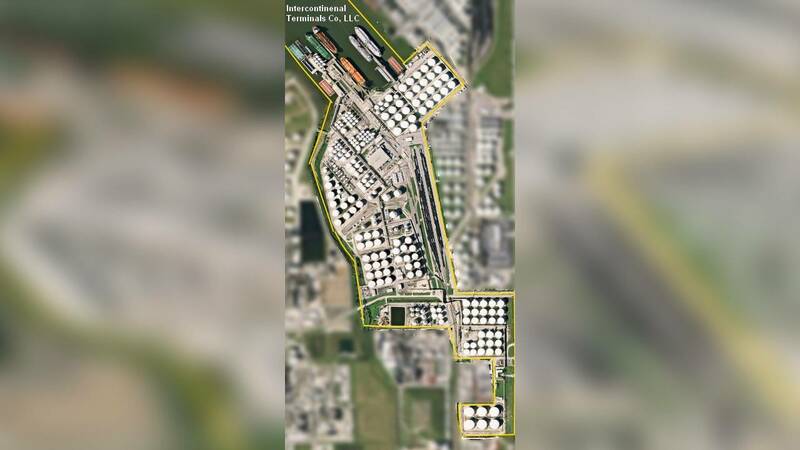 DEER PARK, Texas - The firm responsible for a massive chemical fire in Deer Park has a history of environmental violations. Interncontinental Terminals Co. has paid $38,300 for infractions committed since 2009, according to the Texas Commission on Environmental Quality. The fire at the company's Deer Park location started Sunday around 10 a.m. due to a bad manifold, officials said. The fire was still burning through Tuesday and officials said they were not sure how long it would keep burning. What's burning at the chemical plant in Deer Park? Now that smoke plume is gone, what's the forecast? ITC was most recently fined in 2017. In that mishap, according to the commission, ITC was fined for failing to comply with "permitted effluent limitations for daily cyanide." On Aug. 20, 2008, ITC was fined for another emissions blunder, when a relief valve blew off Tank 50-2. Officials said "6,745 pounds of unauthorized 1, 3 butadiene, a hazardous air pollutant, were released into the atmosphere due to the failure to prevent an increase in pressure." In this event, the Commission on Environmental Quality said ITC was fined because the emissions event was "avoidable by better operational practices." On Sept. 19, 2009, the commission said ITC was fined for failing to "prevent the overloading of a railcar resulting in the unauthorized release of 1,452 pounds of toluene, a hazardous air pollutant, during a four-hour emissions event." Officials said this event was also avoidable and that an operator failed to tighten a bolt on a hatch and left the area during loading. Interncontinental Terminals Co. was founded on Feb. 24, 1972, with 11 acres on the inlet of Tucker Bayou, in Deer Park. In 1977, the company said it finalized an operating agreement with Exxon Mobil Corp. to operate a terminal in Port Allen, Louisiana, which stores and handles butadiene and propylene. In July 2010, ITC acquired 180 acres of land on the Houston Ship Channel in Pasadena. The company says work is ongoing to develop the site into "a world-scale petroleum and petro-chemical terminal." In 2012 and 2013, ITC said it expanded its storage in Deer Park by adding an additional 900,000 barrels of capacity. In 2015, ITC Pasadena commissioned it first tanks and began moving product, the company said. More tanks were added at the Pasadena location in July 2016, bringing the terminal to 3.3 million barrels of capacity. In July 2017, ITC Pasadena was permitted to construct another 4.2 million barrels of storage at the facility. The Deer Park facility has a total of 15 docks, five of which can be used by ships. 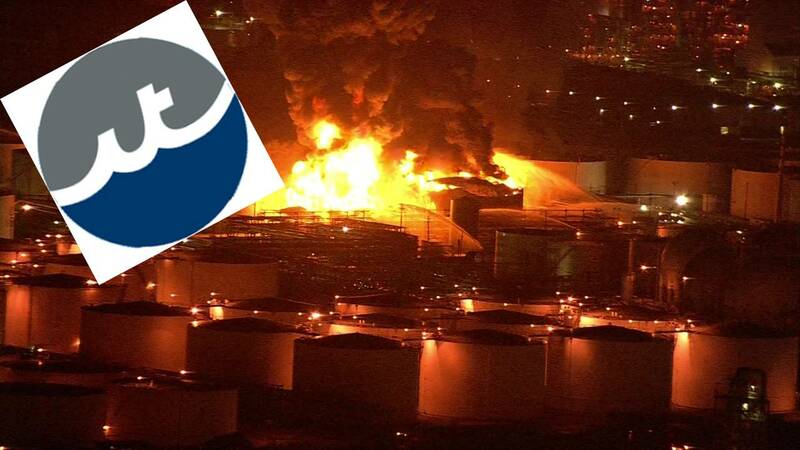 The facility has a storage capacity of just over 13 million barrels, the company said. ITC's facility in Deer Park. The tanks range in size from 8,000 to 160,000 barrels. The company said its total throughput exceeds 144 million barrels each year and ITC handles about "770 ships, 3,700 barges, 12,000 tank cars and 33,600 tank trucks annually." The Deer Park Terminal has about 270 associates and there are about 40 associates at the Pasadena location.